Hurricane Maria struck the island of Puerto Rico last September with devastating force. It leveled homes, brought trees down on escape routes, and virtually destroyed the power grid, leaving people in the dark for months. Our Capuchin missionaries immediately went to work. They found senior citizens without food and water and families in need of basic necessities. 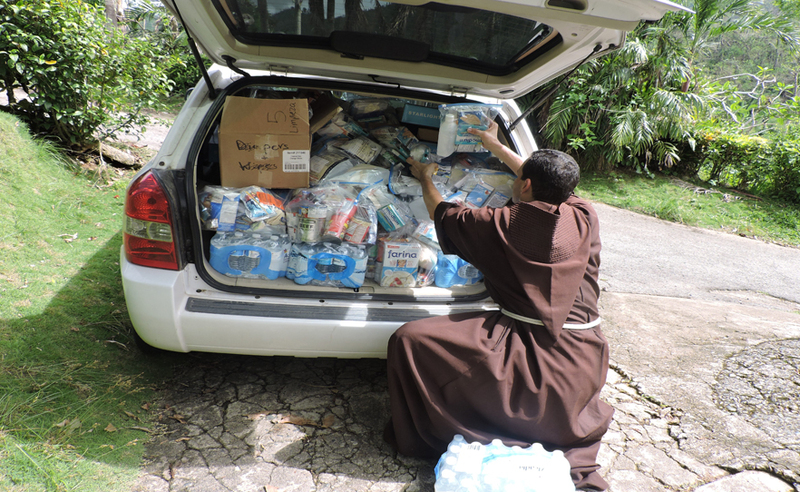 The Seraphic Mass Association immediately lent enormous financial support for emergency food, water, and medical supplies. The hard work of rebuilding continues. Thousands have died since Hurricane Maria due to lack of power, inadequate communications, and impassable roads. It will be years until churches, friaries, and schools are adequately repaired. Humanitarian aid is needed today! Your help is imperative for our Capuchin missionaries to do their work now and for years to come. Your generous donation will help the poorest in Puerto Rico as they struggle to put the pieces back together.